Terrorists JOIN church after Jesus terrorizes their plan to burn it down! Ibrani*, a young man born and brought up in an orthodox Muslim family in a Middle Eastern kingdom, had always strictly followed the rituals and principles of Islam. A sister he was close to and loved very much had become Christian two years ago through the ministry of Bibles for Mideast. Her husband and children also joined the Kingdom of Jesus, and all were baptized and became members of an ALG Church. They evangelized whenever possible and brought others to faith in Christ. Ibrani tried his level best to bring his sister and her family back to Islam. But they would explain to him how they now knew that Jesus was not only a great prophet (as all Muslims believe), but the Living Lord and Son of the Most High God. Jesus was born to the Virgin Mary as a sinless man to take away the sins of all humanity, they told him. His crucifixion on the cross of Calvary served to take away the penalty of sin. He died and rose from the dead on the third day. Only by believing in and accepting Him as Lord and Savior could he be free and attain salvation, they assured him. They even invited him to meet their pastor and attend a worship service, letting him know where and when the church met. Ibrani would have none of it. He became their sworn enemy and determined to free his region of the scourge of the Christians and their church. Joining up with a group of militants, he formulated a plan to attack the believers and destroy their meeting place. His father, mother, brothers and other sisters all offered him their total support. The plot entailed pouring petrol on the church during a worship service, then setting it alight in hopes of burning the place down. They received the backing of both local and religious police—who it turns out already knew about the church, but hadn’t yet been able to determine where it met. The religious police in particular were delighted with the new information. Ibrani and the team collected the petrol in a large container, which Ibrani kept in his own house. They planned to carry out the attack as the church met for Sunday worship last week. Around midnight Saturday, the men noticed a fire develop over the petrol jar, and watched in horror as it began spreading to the parts of the house near it. They screamed to waken Ibrani’s family sleeping in other rooms. All woke immediately and ran to safety. Suddenly, to their astonishment, a man appeared from within the fire. "I am the Lord of Heaven and Earth,” he told them with calm authority. “I dwell in the light which no one can come near. “I am also the burning fire. I can finish you off now, for I am the author of life and death. But I didn’t come to the world to destroy, but to redeem each of you from sin and death. I died for you on the cross of Calvary, and I rose from the dead. Believe in me and follow me. You will have salvation and eternal life." He then disappeared as quickly as he had materialized, and the burning fire subsided as well. No one doubted that the Jesus Ibrani's sister had told him about had just visited them. They prostrated themselves, foreheads to the ground, convinced now in the Truth of the message she had shared. While the church had met for prayer and fasting on Friday, the pastor had had a revelation and three members had prophesied about a great tribulation coming to the church. The prophecies warned them to move their meeting place immediately to somewhere far away, even showing them where exactly to go. It turns out the religious police intended to arrest the pastor and church members that Sunday if the militants’ plans failed. Ibrani's family members and his band of (former!) 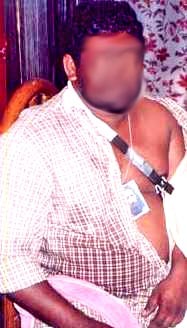 militants contacted Ibrani's sister and brother-in-law the same night of their visitation. They met together with the pastor, and shared what all had happened. The pastor taught them more about Jesus and the gospel throughout the night. Everyone accepted Jesus as their personal savior and Lord. As morning dawned, they all freshened themselves up and travelled to the new worship location for Sunday service. Once there, they openly declared their new faith in Jesus and joined in worship with the believers. The church rejoiced in the Lord for HIS amazing works. Please pray for the new believers, the pastor and his church, all the churches in the Middle East and the entire ministry of Bibles for Mideast and the Assembly of Loving God Church as we keep marching forward with the Gospel of Love and Life. 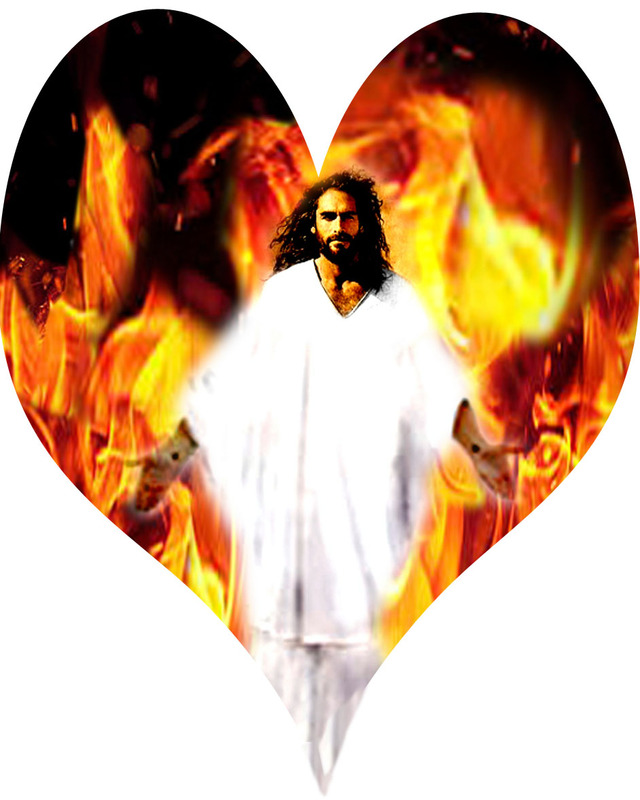 Islamic terror, Islamic religious police, Islamic terrorism, Islamic extremism, Jesus saves, Jesus lives, ministry to Muslims, Muslim conversions, Muslim evangelism, Muslim salvation, Muslim conversion, underground believers, underground churches, evangelism to Muslims, salvation from Islam, salvation of Muslims, Jesus in the fire, Jesus saves. Gainful employment being as scarce as rain and healthy crops in Milad’s* drought-stricken east African country, many, including his family, struggled to survive. As the eldest of nine children in an orthodox Muslim family, when an offer to work on a ship came along, he gladly accepted. At last he could help provide for his parents and siblings. Not till he joined his new employers onboard did he realize the ‘work’ involved attacking and robbing ships. They were pirates! When he tried to abandon ship they wouldn’t allow him, and when he told them he had no intention of working for them, they bound his hands and legs with steel chains. He became a slave to the pirates, freed only when they found their next target of attack. They knew that if he got away, their secrets and information on who they were would escape with him. One evening they attempted to rob a ship full of valuable merchandise in the Indian Ocean. The vessel’s strong security force fought back, and a fierce gun battle ensued. When a bullet hit Milad in his left shoulder, he jumped into the sea to save himself. As he tried to swim to safety, a giant fish suddenly darted through the dark waters towards him. Whether a shark or a whale he couldn’t tell, but he could see its wide-open mouth ready to finish him off. Just as he felt himself sucked into the creature’s mouth, a strange reflection … a bright image of what appeared to be a man, but somehow in the shape of a cross ... appeared on and through the water. It was like it came down from above and both reflected off of, and pierced, the dark water. He noticed what looked like blood stains on the luminous image. He felt himself being pulled away from the gaping jaws, and then helped safely to shore. By this point, late at night, bedraggled and alone, all Milad knew was that some supernatural power had saved him from certain death. But what could it have been? Looking around in the darkness, seeing no one, fear quickly overtook him. He sat down by the sea shore, his mind and emotions churning, his heart heavy. As only God could arrange it, members of an underground ALG church in Africa were engaged in an all-night prayer vigil some miles inland from where Milad sat. Pastor Abu* had gathered believers at his ‘prayer shed’ for the night watch [more on that prayer shed in our earlier story about Pastor Abu and his ministry here: Miraculous multiplication of faith, food and believers in east Africa]. As they prayed, his wife had a vision of the Lord Jesus saving someone from pirates and a giant fish, and that the man, named Milad, was now sitting at the sea shore gripped with terror. She shared her revelation with the prayer group. Two others (including Hydrus, the former Muslim whose radical salvation we also relate in the story mentioned above) received the same vision. One even prophesied they were to go get him and ‘pick him up’ for the Lord’s work. As they continued praying, Pastor Abu also prophesied about the fellow on the seashore. Clearly an immediate rescue was in order, so the men determined to go find the survivor. They headed out in the direction they’d been shown in the visions. Pastor Abu’s wife remained behind in charge of the vigil, and the women and children continued praying. Walking the eight miles to the sea shore, the 40 or so men refrained from speaking, uttering only words of prayer and praise. Each carried his own Bible, and none felt tired or found the journey long. When Milad saw them approaching, his fear intensified. What now? But then he heard his own name being uttered by a calm, assuring voice. Already incredulous Milad did not think things could get any more incredible until he then heard the pastor outline to him all that he had gone through. Could it be a dream? He touched the leader and several of the other men to see if they were real. “You are not dreaming,” Pastor Abu assured him. “All of this is real and true, and only because our Lord and Saviour Jesus is the way, the truth and the life.” He then held up his Bible. Milad rushed to kiss the Bible, and then prostrated himself before the pastor. Milad cried aloud and confessed all of his sins before God. He then readily accepted Jesus as his personal savior and Lord. The men prayed over the new convert and joyfully brought him back with them, praising and thanking the Lord for His marvelous wonders as they journeyed back to the shed. Milad now stays with Hydrus at the underground church’s 'prayer shed' under the guidance of Pastor Abu. Please pray for Milad and Hydrus as they grow in their faith and walk. Also keep Pastor Abu, his family and all the other believers in Africa in your prayers. As an important ‘back story’ here, we asked Milad if he knew of anyone from his past who may have been praying for him. He then remembered that several years ago, an American missionary team had visited his town on a charitable and medical mission. One day, Milad and one of his sisters visited the temporary quarters set up by the team, hoping for help for the skin disease they both suffered from. Missionary doctors examined each, and gave them medicine. One took a special interest in the two siblings, making note of their names. She began telling them about the healing and saving power of Jesus. Milad and his sister had no idea what she was talking about. Then, when she put her hands on their heads to pray for them, the young man angrily pushed her away. The doctor simply smiled, and let them know she would continue praying for them. She also asked them to come back in two days for checkups and more medicine, but the siblings never returned. What an encouragement to continue praying! We thank the Lord that missionary doctor kept up her prayers for Milad, and for you for praying for the ministry of Bibles for Mideast in Asia, Africa and the Middle East. Never give up. No one can deny that over the past several years, millions of Muslims worldwide have converted to Christianity. Once they taste His love, they soon sense that real freedom can be found only in Christ. 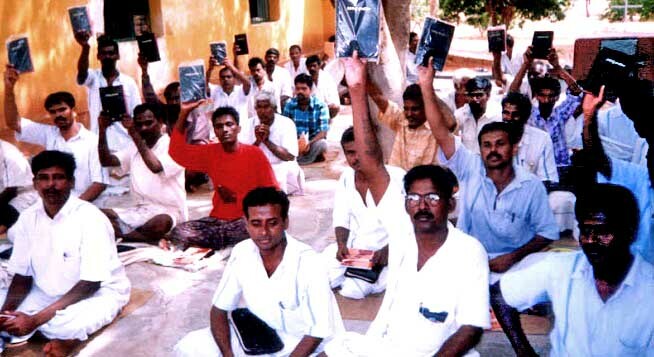 Many missionary organizations, including Bibles for Mideast, engage in evangelism to Muslims. Out of concern for the security and safety of new converts in some regions, we cannot publish all the details. Even the converts themselves often must resort to secrecy to survive. This concern over safety proves the greatest complication in assessing the number of Muslims converting to Christianity in Islamic nations, according to Albert W. Hickman of the Center for the Study of Global Christianity. "Many of these converts keep their new faith a secret. Some of them are fairly isolated, not knowing any other Christians," he noted. "Others are part of house churches that consist exclusively of secret converts. These individual house churches can be part of networks that are quite extensive, although most individual members might be unaware of exactly how extensive." The website Muslim Statistics reports that “A major Christian syndication has provided video evidence to us from their user data around the world which proves that a massive 350 million Muslims live their outward lives as Muslims, on the surface, but have secretly converted to Christianity” (article here). In December 2001, Sheikh Ahmad al Qataani, a leading Saudi cleric, appeared on a live interview on Al-Jazeerah satellite television to confirm that, sure enough, Muslims were turning to Jesus in alarming numbers. "In every hour, 667 Muslims convert to Christianity," Al Qataani warned. "Every day, 16,000 Muslims convert to Christianity. Every year, 6 million Muslims convert to Christianity." Stunned, the interviewer interrupted the cleric. "Hold on! Let me clarify. Do we have six million converting from Islam to Christianity?" Al Qataani repeated his assertion. "Every year." The interview has since been removed from Al-Jazeerah’s website, but you can both view and read it in its entirety here. Thousands and thousands have turned to Christ in Bangladesh, India, Indonesia, Thailand, Malaysia, Singapore, Pakistan, Maldives, Egypt, Morocco, Libya, Tanzania, Cambodia, Somalia and many other Asian and African countries. Bibles for Mideast has about 150 gospel teams ministering in different Asian, African and Middle Eastern nations. Out of those, 20 are led by women, and many Muslim women convert because of these women evangelists. A vast number of Muslims who have turned to Christ in Saudi Arabia, Kuwait, Oman, Qatar, Bahrain, UAE, Jordan and Palestine now worship in underground house churches. We hear many miracles of healing, deliverance and even resurrections from the dead. Some members of ruling Arabian families have come to faith in Jesus as Lord and face persecutions such as house arrest or imprisonment (see Royal Family members believe in Jesus, now face death threats and prison). While there were only 17 Christian converts from Islam in Afghanistan in 2001, more than 250,000 believers now exist. Hundreds of baptisms happen every week. In 1990, there were merely three known Christians in Kazakhstan and none in Uzbekistan. Now more than 250,000 worship Jesus in Kazakhstan, and 350, 000 in Uzbekistan. In 1979 there were fewer than 500 Christians in Iran. Since then, millions of Iranians have come to believe in Jesus Christ as their Savior, most meeting in underground house churches. In Sudan, despite a radical Islamic regime and an ongoing genocide that has killed more than 200,000, more than one million have converted since 2000, and some five million have become Christians since the early 1990s. Seminaries are being held in caves to train pastors to shepherd the huge numbers of people coming to Christ. Why such a dramatic spiritual awakening? "People have seen real Islam, and they want Jesus instead," a Sudanese evangelical leader reports. Even though persecution against Christians in Bangladesh is on the rise, so too is the number of Muslims converting to Christianity. “When I began my ministry in Kurigram, there was only one Christian family with a Muslim background,” says Pastor Faruk of Bangladesh, who converted to Christianity from Islam in 1995. “Now, almost 1,500 believers from Muslim backgrounds are glorifying God in this area.” As many as 100,000 Muslims across Bangladesh have converted to Christianity in the last six years. “Persecution will come more, but the believers and I are ready to face it," Pastor Faruk added. In India, millions of Muslims are choosing to follow Christ and now face hardships and persecutions. A large number of Muslim refugees in Europe from Syria, Iran and Afghanistan have also converted to Christianity, with some churches conducting mass baptisms. "I've been spat on and told that I've betrayed Islam,” confessed a Syrian refugee baptized as a Christian in Germany. “But through what I've learned, I can forgive them." "In Islam, we always lived in fear. Fear of God, fear of sin, fear of punishment. However, Christ is a God of love," an Iranian refugee reported in Switzerland. "I've been looking all my life for peace and happiness, but in Islam, I have not found it," added Shima, another Iranian refugee. In Austria there were at least 300 applications for adult christenings in the first three months of 2016 alone, with up to 70 percent of those said to be refugees. Since making that statement, Pastor Paul was again a victim of radical terrorists and is still recovering (those stories here: Despite persecution, more than 3000 former Muslims baptized, Stoned by terrorists, protected by a lion!, Prayer support still desperately needed for Pastor Paul and family). Idris, another pastor with Bibles for Mideast, reports that countless ordinary Muslims, witnessing the brutal behavior of fanatics and terrorists towards Christians, are turning secretly to Christianity. Please keep this ministry and its workers in your prayers! We so appreciate your ongoing interest and support. If you would like to submit your own prayer request or support the ministry in any way, please use the form here. By God’s grace, 41 former Muslims were recently baptized in the Middle East. Leaders of the Bibles for Mideast organization conducted the baptismal ceremony in a highly restricted area. All candidates had accepted Jesus as their personal savior and Lord, fully believe he was crucified and died at Calvary for their sins, and that he rose from the dead. They knew that through and by his blood they had received redemption. Each personally requested this next step in their Christian journey, wanting to be purified in the Spirit and the water and be ready to meet Him. Our Lord’s return is imminent, they all believe. Bibles for Mideast had called for five days of global fasting and prayer the previous week, and all candidates had taken part to prepare themselves for the planned mass baptism. When their bus arrived at the seashore at dawn that day, they discovered the area to be tightly patrolled by police. The organization had a special meeting later on the day of the planned baptism (Dec. 5) to discuss and formulate plans for the growth of the church in Asia, Africa and the Middle East among Muslims. Close to 150 underground house churches worship the Lord in different areas under the directorship of Bibles for Mideast. Pastor Paul said in his inaugural address to those gathered that all of the house churches must come under a separate church administration. He also said every church must become a self-supporting, missionary-sending church. Serious discussion ensued and a sub-committee was appointed for further action. Bibles for Mideast is not a church, but a missionary organization spreading the gospel, distributing bibles and establishing churches. So it was decided all the separate churches need separate administration and curriculum. Pastor Paul also strongly urged each church to give a bible to every believer as a Christmas and New Year’s gift. They should also, he advised, present a bible with an accompanying message of salvation to one of their best Muslim friends. This would serve to win others to Christ as well as train believers to be missionary-minded people, part of a missionary church. Zaina, a 20-year-old Muslim girl from the Middle East, had suffered heavy bleeding for three years. She consulted a gynecologist, who ordered an ultrasonography. When the scan revealed cysts on both ovaries, the doctor advised her to get a hysterectomy. Since she is unmarried, her parents advised her against the procedure—which they would not have been able to afford anyway. They lived ordinary lives, the father working in a shopping mall. A few weeks ago, Zaina met a woman evangelist from Bibles for Mideast. The evangelist befriended her, and soon became a regular visitor at the family home. Zaina’s mother, sisters and brothers liked the way she presented herself, and her behavior towards them. The evangelist reported regularly to 'headquarters' about Zaina and her family, so all of the Bibles for Mideast gospel teams were praying for their salvation. While the mission worker gradually and effectively conveyed the gospel of Jesus Christ to them, Zaina’s family did their best to convert her to Islam, telling her about the Koran and Hadith [sacred texts in Islam—Ed.]. One day, the evangelist arrived with two fellow evangelists after some serious prayer and fasting. They shared the story of the woman with an issue of blood which had plagued her for twelve years, and how simply coming up behind Jesus and touching the border of his garment had resulted in her healing [Matt. 9:20-22]. They told the family that Jesus Christ could and would heal Zaina if they would simply believe in Him as savior and Lord. The gospel teams of Bibles for Mideast were also fasting and praying for them that day. Zaina’s mother could not accept what the evangelists told her. But Zaina asked them to pray for her. Her brothers and sisters remained silent, without objecting. While the evangelists prayed over Zaina, the demon within her manifested, and she began screaming like a wild creature. She pushed the evangelists away, as the demon possessing her told them not to send it away from either Zaina’s body or the family home. The evangelists explained that Jesus Christ had bruised the head of Satan by His crucifixion on the cross of Calvary and His resurrection from the dead. "Now Satan and his slaves are bound in everlasting chains under darkness until the judgment of our Lord’s great day," they proclaimed with authority. "Zaina and her family belong to the Lord and to His heaven. Go away from here! We cast you out of Zaina in Jesus’ Name!" Zaina fell to the floor, unconscious. As the evangelists prayed over her, she came to, praising the Lord. She joyfully explained to them how Jesus had come to her and healed her. She said she gladly accepts the Lord Jesus as her personal Savior. Her sisters and brothers followed suit, accepting the Lord Jesus into their hearts. And they ended up convincing their mother to do the same! Now, very secretly but joyfully, they all attend worship services in a Bibles for Mideast underground church. Please pray for them and for the ministry as a whole. Al-Farooqi (name changed for security reasons), 37, had been a fanatic and faithful Middle Eastern follower of Islam his whole life. He strongly believed the whole world should be ruled according to Islamic Sharia law, and anyone not following Sharia must be killed. In his twenties, he worked with the Taliban, destroying churches and temples and killing scores of people. He seemed consumed with shedding the blood of ‘infidels’. Seriously injured when the US army attacked his Taliban base, he managed to escape and fled back to his native city. He still limps from the damage caused by the bombing. He had a special enmity toward Christians. Whenever he met one, he would immediately slap them. It was his pledge, as was keeping a large knife ever with him. Several weeks ago, two Bibles for Mideast pastors met him along the road, gave him a sample gospel and started talking to him about Jesus. They of course had no idea who he was or about his past; they simply saw and attempted to engage a handicapped man walking alone. Farooqi exploded in anger. His eyes reddened and he shook with fury. “Allahu Akbar!” he screamed, tearing up the gospel literature they’d given him. He then grabbed his knife and lunged at them several times. Both pastors sustained injuries, but by God’s grace the wounds weren’t too serious. While furiously stabbing the pastors, Farooqi lost the grip on the knife. It flew from his hand down to his one undamaged leg, tearing into it violently. With blood spewing out like a gusher, he fell to the ground, crying out in agony. The pastors moved quickly to form tourniquets out of their handkerchiefs and attempted to bandage him up. At first he wouldn’t let them near him. The men had to force first aid on him, and managed to at least partially stop the flow of blood. They then hailed a taxi and took him to the nearest hospital. Once medical staff had applied proper bandaging and given him several injections, the pastors brought him back to his own home. On the way there from the hospital, they told him the parable of the Good Samaritan [from Luke 10:25-37]. “This was what Jesus taught us to do,” they explained. “We are simply following what He says.” Farooqi listened but seemed totally uninterested. When the pastors left, he refused to smile at or even thank them. They could tell he was still angry. Yet the next day, backed up by prayer, they went back to the home. While his family members were happy they returned, Farooqi refused to speak to them. Two days later, the prayerful, persistent pastors again paid a visit. They helped him untie his bandages and apply new ones. Other family members grew fonder of the Christian leaders, but not until their fourth stopover did Farooqui finally speak, thanking them. While they knew he’d done it under the compulsion of his family, they became regular visitors. Farooqi eventually began to enjoy the visits, and as they talked, the whole family learned more and more about Jesus. They listened carefully, and accepted the Arabic Bible offered to them. The pastors opened the Bible to Romans 5:8-10 and showed it to him. Farooqi and his family became convinced about the value and truth of the Christian belief system. They confessed before the Lord and accepted Jesus as their Lord and Savior. Now all regularly but secretly attend worship services at a Bibles for Mideast underground church. Please pray for Farooqi and his family: that the Muslim community will not bring them any harm; that our mighty Lord will continually protect them under His wings. My name is Jadavedan Potty [meaning 'priest born in scriptures'; 'scriptures' here referring to Hindu Vedas—Ed.]. I belong to a Hindu Brahmin (priestly) family in India. From childhood I was an idol worshiper and often went to temples. I would get up at 4:00 every morning and do poojas [Himdu prayer rituals—Ed.] and help the main priest. I also used to bathe the deities and pray to them. When I came home, I put the pamphlet inside of my cupboard. And I said to myself that I'm Hindu; Jesus is not my God. I wanted to go ahead in my life by worshiping the Hindu gods only. After that, many times in my life I felt somehow that GOD JESUS really loves me sincerely. Once I even saw the LORD; He came and put His hand on my shoulder. Even then though I said to myself, 'No, Jesus is not my God; my gods are idols." One day my sister, then 20 years old, suffered from a brain tumor and became bed-ridden. She was my only sister. While my parents took her to different hospitals for treatments, I went by myself to all the nearby Hindu temples to worship. I was so desperate to get help from above. Not long after, I happened to attend a Christian retreat. I listened as a woman gave her testimony of being severely ill, and doctors giving up all hope. Her family was crying for her. But she didn’t lose her hope and she cried out to GOD JESUS and GOD JESUS healed her and saved her! Now she is completely well and tells her story to everyone, so that those who are suffering will come to know that only GOD JESUS has power over everything. When I heard her testimony, I remembered the pamphlet I'd been given, and that there was a telephone number on the back. Immediately I ran to my home, found it, and dialed the number. I told them all about the problems my sister faced. I asked if they could come to my house and pray for her. At once they prayed over the phone, and I also started praying to GOD JESUS. That same evening some blessed people from Gospel to Asia and Middle East Nations (the precursor of Bibles for Mideast) came to my house and prayed for my sister. They gave me a New Testament, and I began feeling some power working in my life. Slowly my sister was completely cured, and we both accepted Jesus as our Savior. We now suffer persecutions from our family and others for accepting Jesus as Savior. The ministers who visited us gave us a full Bible. We rely on Jesus through the Bible and are strengthened by its verses. Also we learned the apostolic principles and received baptism in an underground church. Please pray for me and my sister. Also pray for our entire family and our friends to know the love of our Lord Jesus Christ. Pray for our ministries and church too.